Kathryn has a Bachelor’s of Science in Exercise Science with a minor in Strength and Conditioning from Lindenwood University. She is also a certified Strength and Conditioning Specialist through the National Strength and Conditioning Association. Kathryn has also coached for a high school girl’s lacrosse club program, Brave Lacrosse, for 5 years. For Brave, she serves as the Girl’s Club Program Director as well as the head coach. While at Lindenwood, Kathryn was a four-year starter for the women’s lacrosse team. She earned Scholar Athlete all four years and Academic All-American for 2008 and 2009. She was named Rookie of the Year in 2008, earned the Coach’s Leadership Award in 2009, was selected to the First Team All League in 2010, and was awarded the Heart of the Lion award in 2011. She was also named MVP in 2011. She served as team captain for two years and was named All-American in 2010. Kathryn is currently the all-time groundball leader for Lindenwood with 276 groundballs. 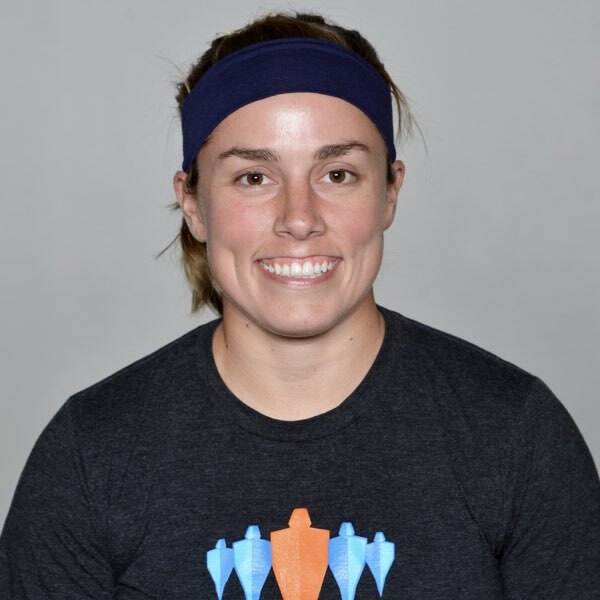 Kathryn has many years of sports training experience of her own through various programs such as Acceleration, Sports Enhancement Group, and the H.I.T. Center and knows what it takes for an athlete to gain that extra edge or for the general clientele to lose those extra 5 pounds. With her training experience and knowledge of exercise science and strength and conditioning, Kathryn plans to help each client reach his or her goals.